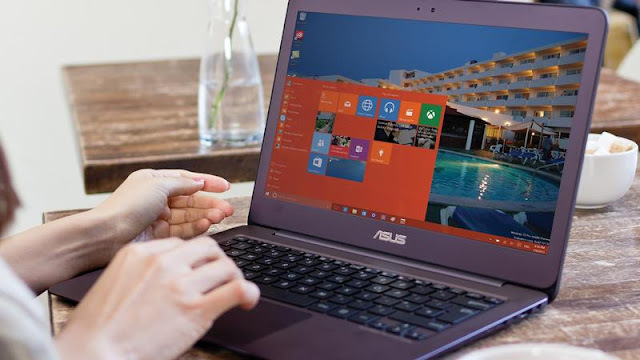 Windows 10 support various file system which are used generally by the storage devices. Windows default file system is NTFS while Mac uses HFS. The HFS file system can't work on Windows neither NTFS work on Mac. But what if you want to use a file system for both your Windows and Mac pcs, how are you going to do it? And like I said Windows uses NTFS by default while Mac uses HFS. 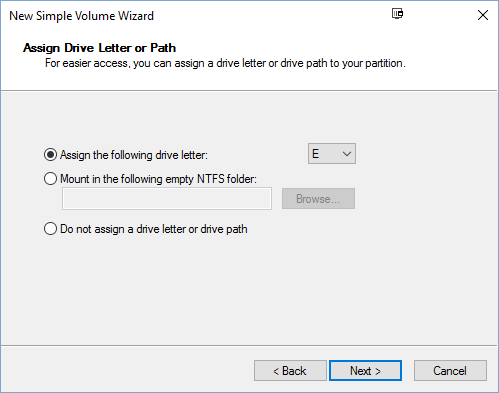 Luckily, you can format the drive to work with both Windows and Mac by using the exFAT file system. 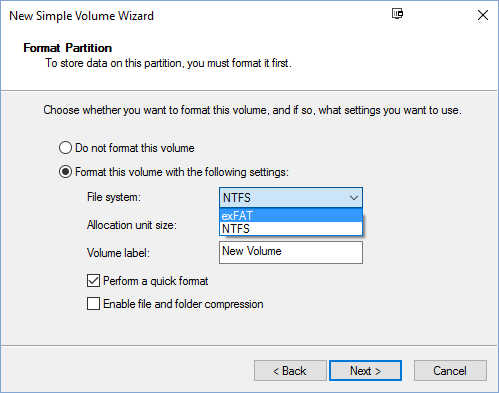 So in case you are using it only for Windows then you should use the NTFS file system. 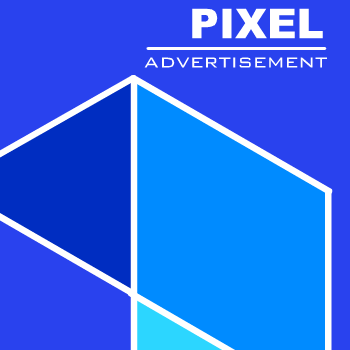 This article only covers how you can format your external drive so that it will be able to work on both Windows and Mac platforms. In this guide we'll be using exFAT file system instead of FAT32 - also a file system that both Windows and Mac can read and write to, because FAT32 has a maximum 4GB file size limit whereas exFAT can work with files as large as 16EB (exabytes). exFAT also performs better than FAT32. You can easily format the drive from either the Mac or the Windows machine. So in case you are using a Mac, you can check this guide on how to that on Mac. 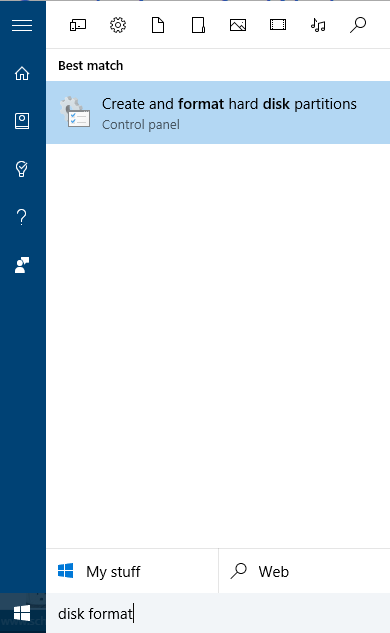 We are only going to explain how to do that on Windows 10. Connect your external drive to your Windows computer through the USB ports. Then launch the Disk Management tool by typing "disk format" in the search box and press enter or by navigating to Control Panel > Administrative Tools > Create and format hard disk partitions. 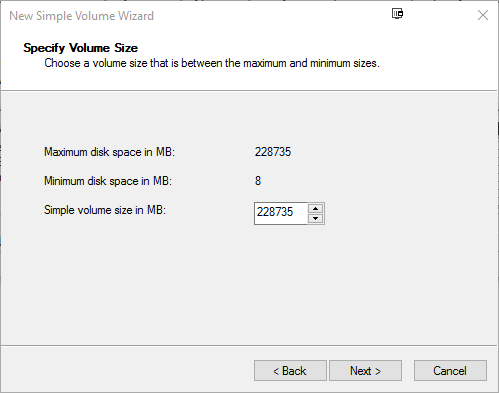 Then choose a volume size you would like to use and click on Next. Then select exFAT file system as the file system in the Format Partition screen and the click on Next. 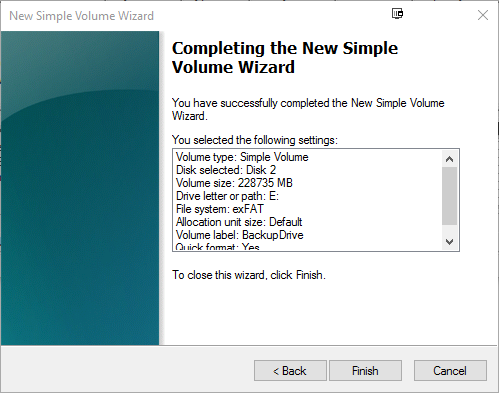 Then type in a new name for the volume in the volume label text box and click on Next. 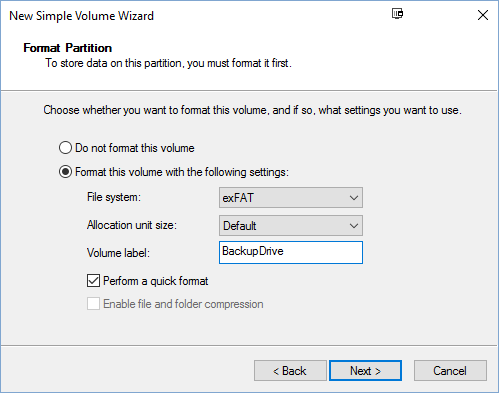 By doing this, Windows will format the drive as exFAT and you'll be able to use the drive on both Windows and Mac. 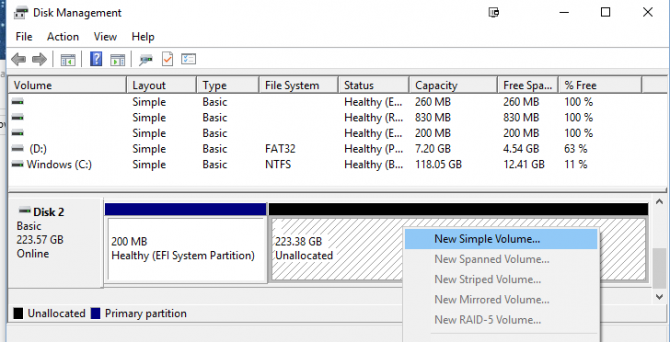 So in case you are using it only on Windows, choose NTFS instead of exFat or you can just check out this guide on how to do so.